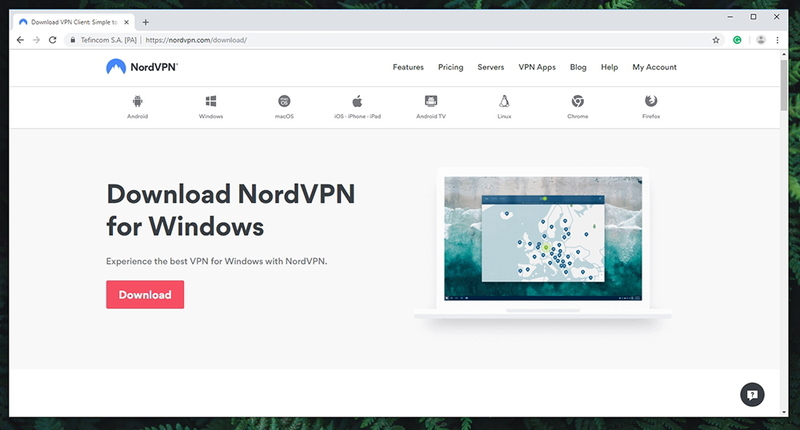 NordVPN Review 2019 - All-In-One Solution to Become 100% Safe Online! 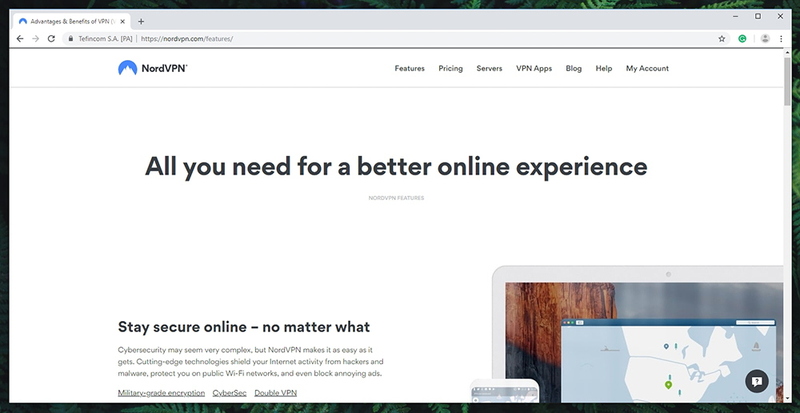 NordVPN Review 2019 - All-In-One Solution to Become 100% Safe Online! Among the best-known products in the VPN product category, NordVPN stands out from the rest. Thanks to its aggressive marketing, this provider has managed to build a strong reputation for being highly transparent. However, as you’re about to see, this isn’t just about marketing. NordVPN truly has a lot to offer, which is why it was recently awarded as the best in class on the VPN market. We’ve placed NordVPN through a series of rigorous tests and spent quite some time testing this provider. If you stick with us until the end of this article, you’ll get to know all there is about this VPN, what to expect, and well as its place among today’s popular providers. 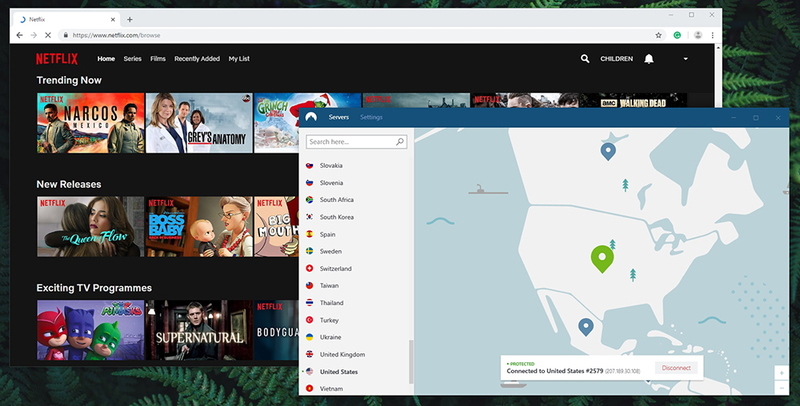 So, welcome to our hands-on review of NordVPN! Before we get started with this review, we’re going to present some quick facts about this VPN. Therefore, make sure to take a quick look at the table found below. Next, we like to highlight the ability of VPNs to unblock popular media streaming services. So, the following table will tell you which services can NordVPN successfully unblock. And lastly, if you’re in a rush to see our conclusions about NordVPN, we will present them via the following table. Take a look to quickly learn different ins and outs of this VPN provider. Easy to install; Highly polished interface; Double encryption; Plenty of servers; No data leaks; Plenty of value for the price. Average speeds; Not every server can unblock websites. NordVPN is among the best VPNs right now. It’s very user-friendly, keeps no logs, relies on military-grade encryption and more – so you can browse the Web freely. In case you’d like to really dive into everything that NordVPN offers, keep on reading our review. We will be taking a very close look at this VPN by inspecting its most prominent and vital aspects. Finally, we’re ready to start our hands-on review of NordVPN. We’ll first do some background research and see if the basics are covered well. After that, we’ll show you how to use this software, what to expect, and plenty more. Being based in Panama, NordVPN does not collect your private data and has no connection to the ’14 Eyes’ Alliance. Our Score: 10/10. When choosing a VPN, you must know if you can trust it. One of the best ways to find trustworthy VPNs is by checking their background. You want to know about its jurisdiction as well as if there were any problematic data leaks in the past. NordVPN has decided to base its operations in Panama. This was a good choice as this country has no data retention laws that could force VPNs into collecting your private data. Also, Panama is not a member of the 14 Eyes Alliance – which is a group of countries with data retention laws. If you decide to check out more information about NordVPN, you’ll be out of luck. Just like with the majority of VPNs, finding their addresses or direct telephone numbers is close to impossible. In the world of VPNs, this is a good thing – since secrecy is imperative. It should also be noted that certain rumors were circulating a few months back. According to those rumors, NordVPN is owned by a company called Tesonet, based in Lithuania. Furthermore, there were allegations that NordVPN is related to HolaVPN, known for turning their users into botnets. However, NordVPN was quick to react. Just recently, it managed to complete its first independent audit to reassure its users of its safety – and it rejected any connection to Tesonet. NordVPN has a strict no-logs policy and it promises not to collect any of your personal or identifiable information. You will be happy to know that NordVPN looks to be sticking to that promise, and also employs tough security protocols that prevent any kind of unauthorized access to their servers. In September 2018, it was revealed that NordVPN contains a privilege escalation bug that can expose some of your data. However, this bug has been fixed before the report became public. This tells us that NordVPN is hard at work when it comes to resolving technical problems and vulnerabilities – which is crucial for any capable and reputable VPN provider. When it comes to devices onto which you can install a VPN, NordVPN covers all of them with native apps. Our Score: 10/10. When you decide to use a VPN, you want one that protects all your devices. After all, even using a single unprotected device poses a risk of leaking your personal data. So, here’s a table explaining which devices are natively supported by this VPN. Windows, MacOS, Linux, and Chromebooks. Android TV; Amazon Fire TV devices. It’s clear that NordVPN brings wide compatibility with popular platforms and devices. What’s also important to note is that you can use NordVPN on devices not mentioned in the table above – as long as those devices support the OpenVPN protocol. The provider offers a dedicated page with instructions on how to install and use it on such devices. Of course, you can always go for a capable VPN router. 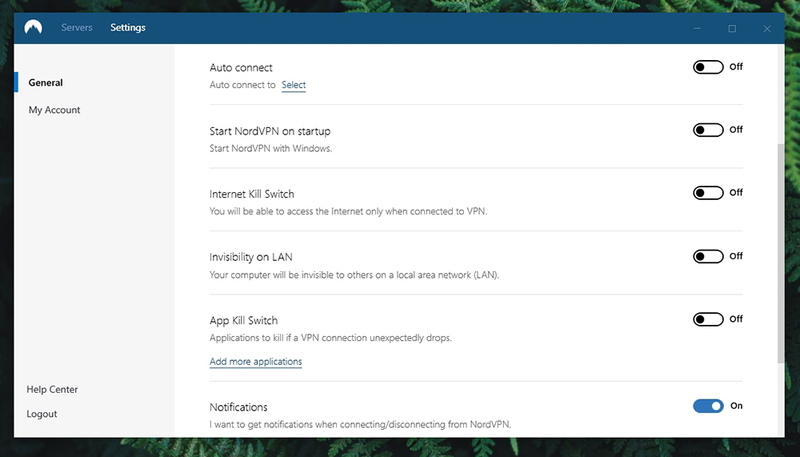 Aside from DD-WRT and Tomato routers, NordVPN can be installed on any router that supports OpenVPN installation. This is how you can protect all your devices at once, without having native clients installed. 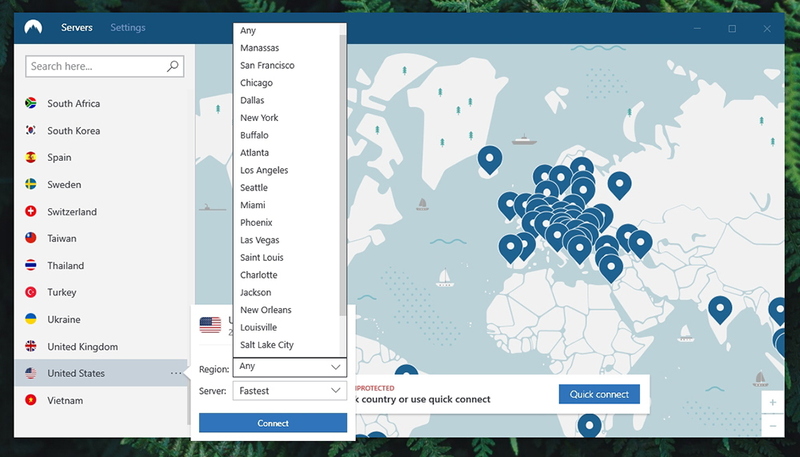 Lastly, NordVPN supports up to 6 simultaneous connections, which seems like a generous offer. 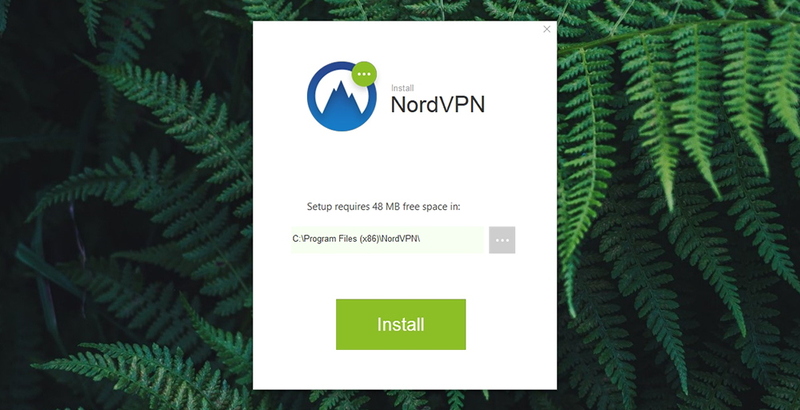 If you install NordVPN on your router, this will count as a single device, no matter how many devices you connect to it. Downloading, installing, and configuring NordVPN doesn’t require you to have any technical knowledge. The entire process is very user-centric and intuitive. Our Score: 10/10. As you can guess, you first need to subscribe to NordVPN to get started using this service. Once you do that, you’ll end up with your username and password, so you can log-in to your account on the official website. At the top of your account page, you’ll see three tabs: Dashboard, Downloads, and Change Password. While the first one gives you an overview of active services and their expiration dates, you’ll need to use the second tab to download native applications. For each of the available platforms, you’ll have several options to choose from. So, go ahead and select your platform and the installer will automatically download. Now you need to run the installer. Wait for the NordVPN TAP driver to install first. Then, select where you want the application to be installed and proceed from there. 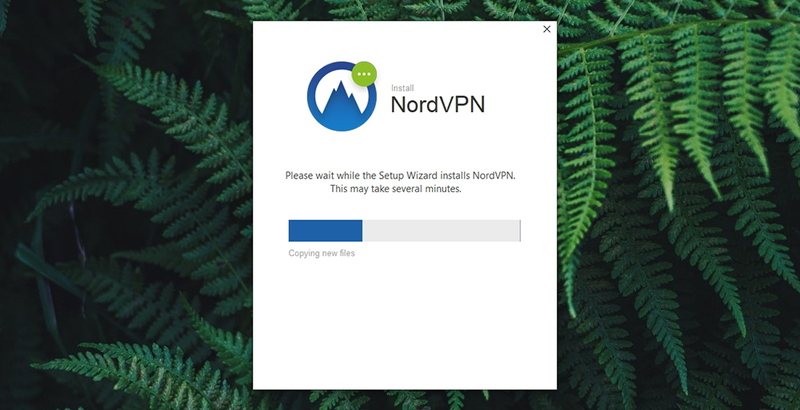 After a few seconds, NordVPN will install on your system and you’ll see its log-in screen. Enter your credentials and you’re ready to start using this VPN. It took years for NordVPN to build its offer. Today, aside from the standard set of options, it offers some highly advanced and unique features. Our Score: 10/10. In this segment, we take a look at a set of standard and advanced options that VPNs offer. With this said, we will show you a table of these options and whether NordVPN supports them or not. This will provide a convenient way for you to compare this VPN to its competitors. NordVPN is a provider that develops its services in a rapid manner. It is adding new servers all the time, as well as new features every couple of months. For example, it came up with its CyberSec feature a few months ago – whose role is to eliminate dangerous ads, pop-ups, and malware. It’s also worth noting that NordVPN is actually a double VPN. This means that you can set your traffic to go through two secure servers, adding an additional layer of protection. As you can expect, this means that truly no one will be able to track what you do online. And finally, let’s not forget about the basics. You can count on all kinds of protections, including DNS and IPV6 and there’s a kill-switch that blocks all your traffic if your VPN connection drops. All in all, a pretty comprehensive package. NordVPN comes with the highest server count of all VPNs. With over 5,000 servers, the entire digital world is under your fingertips. Our Score: 10/10. Update: A number of VPNs are under attack in Russia, being forced to cooperate with the country’s Roskomnadzor. To avoid implementing website-blocking mechanisms, NordVPN has decided to remove all of its servers from Russia. In other words, NordVPN is still a fully-functional VPN even if you’re located in Russia – but you won’t be able to find any servers in your home country. We’ll make sure to update you on the latest news, as the affected VPNs have 30 days to act (until the end of April). According to the latest data, NordVPN has more than 5,000 servers. More precisely, there are 5,155 servers across 62 countries. Find some additional info below. As you can tell, the number of secure servers that NordVPN offers is astounding. This is official information, and this is why it’s among VPNs with most servers. However, we don’t actually have precise information where those servers are located nor can we pick a specific city to connect to. The only option where this is present is among servers in the USA. Having over 5,000 servers is a good thing. In theory, this means that you’ll hardly connect to an overcrowded server with bad performance. However, this doesn’t mean that VPNs with 500 or 1,000 servers won’t perform as good as NordVPN. What we’re saying is – even though having plenty of servers is a nice thing, it isn’t the most important aspect of choosing a VPN. Despite a few awkward things, NordVPN is generally very easy to use. It comes with a user-centric UI across all of its apps. Our Score: 9/10. As you can see from the image above, NordVPN is actually a very simple application. Its home screen consists of the top-placed menu with two items: Servers and Settings. Here’s what to each of those tabs. Specialty Servers: There are four types of specialty servers optimized for different types of online activities. These are P2P, Onion over VPN, Double VPN, and Dedicated IP. You can click on the ‘three dots’ icon on the right to choose a specific country or region. 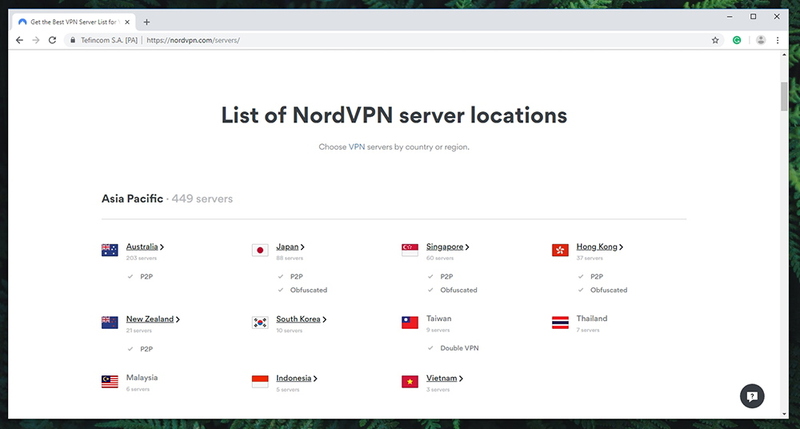 Clicking on any of these categories’ names will let NordVPN select a server that’s best for your location. All Countries: Below, you can find servers based on their country of origin. Once again, clicking on any country’s name will force NordVPN to find an optimized server. You can also manually connect to a specific server. On the right side of the screen, you’ll see an illustrated map of the world. You can click on any country and NordVPN will find the fastest server. And that’s about all when it comes to using this VPN. 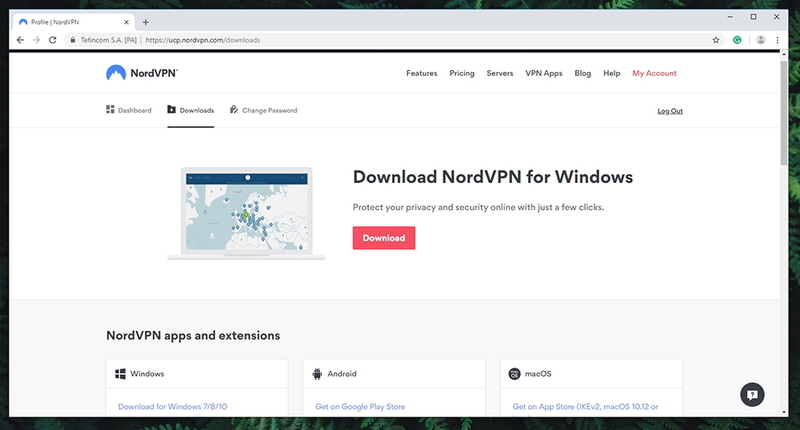 We should also not forget to mention that you can enter NordVPN’s settings by using the tab found at the top of its window. This is where you can enable or disable certain features such as CyberSec, Internet Kill Switch, Application Kill Switch, and more. Each of these options is nicely explained, so there’s no way to breaking the way NordVPN works. 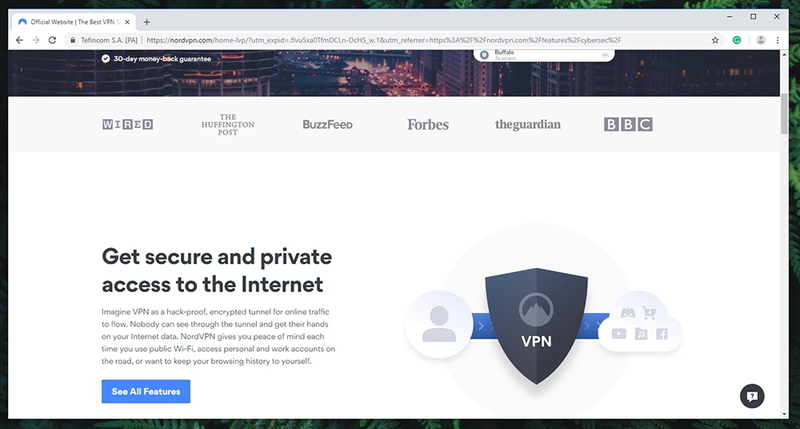 In case you want the best possible protection, we suggest you set this VPN to open on startup, auto-connect to a selected server, and make sure to enable the kill-switch as well. 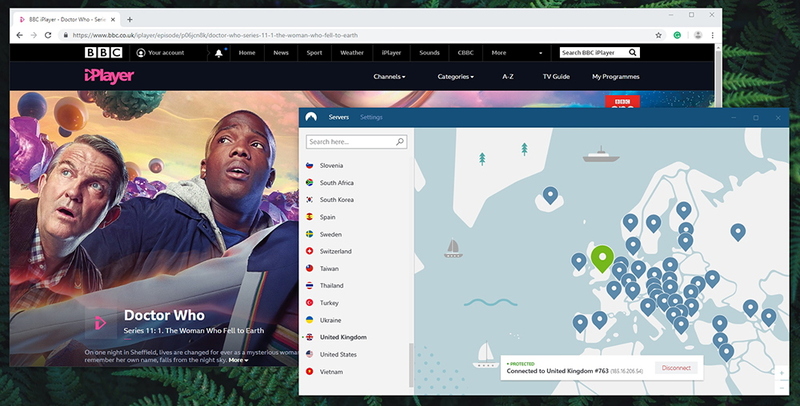 NordVPN can unblock popular media streaming websites – but in a limited way. You’ll really have to dig to find servers that actually work. Our Score: 7/10. One of the benefits of using VPN is the ability to unblock websites. Therefore, it’s not surprising that many are using VPNs to access American Netflix, as well as a few other hugely popular media streaming services. So, let’s take a look at which services does NordVPN supports, and what’s the situation with torrenting. YES – Via some servers. YES – But only via specialized servers. If you contact NordVPN and ask whether you can unblock media streaming services, they will tell you that you can. You might even be offered a series of servers to connect to, based on the streaming service you want to connect to. However, things weren’t that simple for us. So, let’s talk about Netflix. 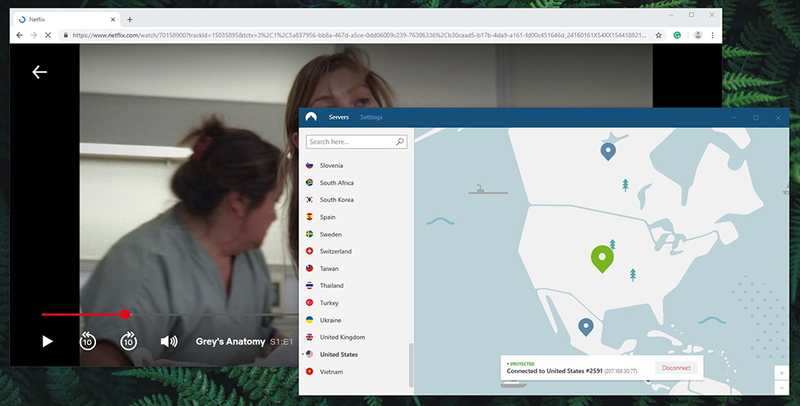 First, we allowed NordVPN to choose the best server – and Netflix wouldn’t even load in our Web browser. Then, we contacted the support team and got a bunch of server numbers. We have used this instruction, but once again – without any luck. Then, all of the sudden, some servers have decided to work – and we were able to access American Netflix without problems. The situation is the same with Hulu and BBC iPlayer. The biggest problems happened with Amazon Prime Video that managed to work after trying a dozen servers – but even then it was too slow to watch anything, even in the lowest resolution. So, can NordVPN unblock Netflix and other popular services? Yes – but there’s a catch. In general, you should connect to servers that lots of people are using, which tells you why they’re popular. You can find this information when choosing servers, as a percentage. This gives you the highest chance of unblocking a popular website. And lastly, NordVPN supports torrenting – but not via regular servers. For this, you’ll need to connect to a specialized P2P server. Unfortunately, you can’t expect the best performance at all time since this depends on a whole range of aspects. If you choose to become a NordVPN customer, you can rest assured that your personal data is properly and fully protected. Our Score: 10/10. Now, let’s talk about privacy and security – perhaps the most important aspect when choosing a VPN. We’re going to take a look at NordVPN’s encryption and logging policy, and we’ll test its claims as well. NordVPN says that it uses ‘military-grade’ encryption. More precisely, its encryption is based on AES (Advanced Encryption Standard) with 256-bit keys. These days, this encryption is considered to be the strongest out there, used by financial institutions and even government agencies. Next, you should know that NordVPN supports two encryption protocols: IKEv2/IPsec and OpenVPN. Both of these are highly capable and practically uncrackable. If possible, we suggest you use OpenVPN as this is currently the safest VPN protocol that also provides optimal performance. As you might have noticed, NordVPN no longer supports protocols such as L2TP/IPsec and PPTP. As the company has said, these are obsolete protocols that are largely insecure and vulnerable to data leaks. So, the company has completely removed those protocols and they are no longer accessible within the official apps. NordVPN has come up with a strict no-logs policy. This means that this VPN does not collect your private data, online activity or browsing history. In other words, none of your personal information is stored on any of NordVPN’s thousands of servers. Now, it’s time to check if NordVPN has any DNS leaks. We will use a credible test that checks for any leaks and we’ll see if any of our ‘real’ information pops up. Check out the image below. As you can see, the websites that we visit don’t see our true IP address. Instead, they see what NordVPN serves them – and that’s a server that we’ve connected to. As per our tests, NordVPN can perform amazingly at times – but can be very slow as well. It all depends on what kind of a server you select. Our Score: 7.5/10. We are now going to check how well does this VPN perform. To do this, we’ll first show you the speed of our Web connection, without a VPN. Then, we’ll run speed tests when connected to nearby and remote servers. So, let’s get started. Performance of our ‘naked’ Web connection. What you can see on the image above is the speed of our Web connection – without a VPN. We have quite a speedy connection, with 146.96 Mbps for downloads and 9.89 Mbps for uploads. Now, we will connect to NordVPN and choose a nearby server that should give us the fastest possible speed. Performance of a server located in our home country. As is turns out, NordVPN offers a server in our home country. Considering the number of servers it offers, it isn’t a surprise. However, we were surprised to see that the speed of our connection dropped significantly. We got 95.93 Mbps for downloads and 9.15 Mbps for uploads. This isn’t the best result out there, and it’s certainly below our expectations. So, we’ve decided to try a server in our neighboring country – perhaps that one will perform faster. Performance of a server located in a neighboring country. We were highly surprised to see another server throttling our connection by more than 50%. What’s interesting is that this server is ‘P2P specialized’ which means that it should provide fast speed. However, this isn’t actually the case. Performance of a remote server (USA – streaming optimized). Lastly, we’ve tested several servers located in the USA, with the ability to unblock Netflix and other websites. Surprisingly, these servers behaved quite well. On average, we got around 120 Mbps even though our upload speed was cut to half. By taking a look at the table above, we say that NordVPN throttled our Web connection by around 38%. So, it’s not the best result out there. However, it’s important to note that media-streaming servers did work the best. So, it all depends on how fast your ‘naked’ connection is and how much of a throttling it can take. NordVPN has listened to criticisms of the past, and how offers a complete range of customer support channels. Our Score: 10/10. Live Chat Support: You can talk to a real person from the home page of NordVPN. We’ve tried this option a few times, and managed to get someone to talk to us in a matter of minutes. The company’s representatives were quite helpful and polite. Email Correspondence: In case live-chat is unavailable, you can send an email to the company. However, you can expect a reply in about two days maximum. Therefore, live chat should always be your first choice. Support Center: NordVPN has a dedicated support page on its website that acts as a troubleshooter. You can check out several categories or use the built-in search option to find an answer to your problems. Tutorials: Lastly, there are comprehensive installation tutorials that are especially helpful for obsolete and rare operating systems. NordVPN is among the highest-priced VPNs, which becomes more affordable only via its extra long-term plans. Our Score: 8/10. 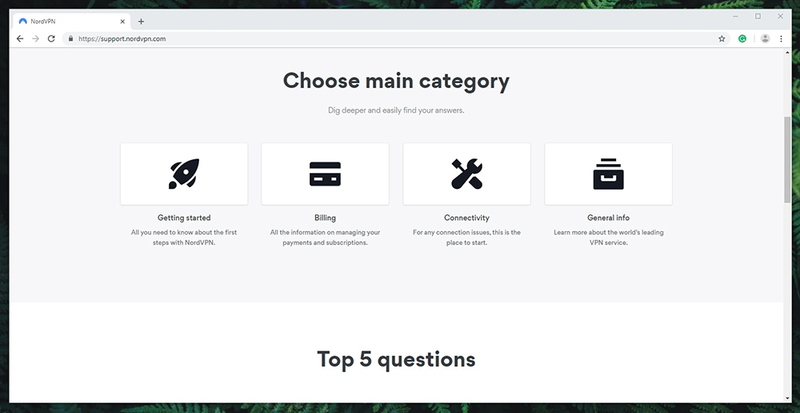 Surprisingly, NordVPN offers four types of subscriptions. These range in their subscription periods and their prices. So, here’s a handy table where you can check what’s on offer. It’s clear that by choosing a ‘lengthier’ plan, you have the option to save the most. With this said, you can sign-up for NordVPN and pay $2.99 per month if you go for its 3-year plan. However, you be wondering what will happen to NordVPN in three years, and if spending your money in this way is a good idea? Well, you should first know that NordVPN has been on the market since 2012. It never suffered a data leak and it’s been one of the best VPNs constantly. 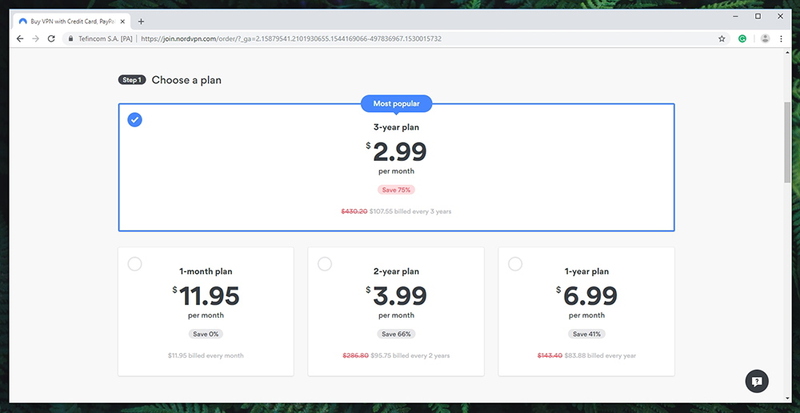 As we shouldn’t forget to mention that NordVPN’s 3-year plan comes at a very affordable price – much lower than what you’ll find at its competitors. Lastly, NordVPN offers a 30-days money back guarantee. In case you’re unhappy with the product or if you’re experiencing any issues, you can ask to have your money returned, no questions asked. It’s true that NordVPN does have a few quirks. However, the same could be said for any VPN provider. At its core, this is a rock-solid VPN that truly takes care of your privacy and makes sure your sensitive data don’t leak on the Web. Aside from that, it can unblock media streaming websites and you can download torrents as well. All in all, a very comprehensive package. PROS: Quick and easy installation; Highly polished UI; More than 5,00 servers across the world; Specialty servers included; Can unblock Netflix US; No logs, what so ever; No previous data leaks. CONS: Not every server can unblock websites; Fluctuations in performance. OUR SCORE: 9.2 out of 10! 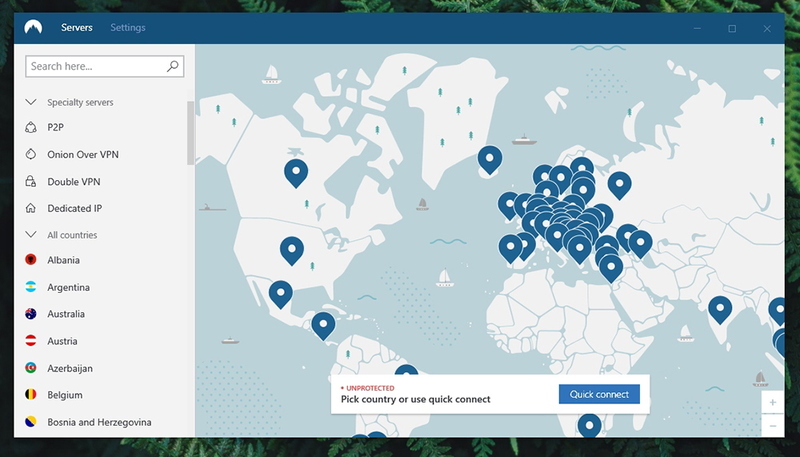 NordVPN is beloved by millions of users around the world, and we can see why. It allows you to browse the Web, stream media, and even download torrents – all while being 100% safe online. You can understand how easy it for us to recommend it for those looking for a trustworthy VPN solution. So, go ahead and check out NordVPN for yourself! In case you’ve made it this far, why not share this article online? And also, you can follow TechNadu on our Facebook and Twitter pages. Thank you! 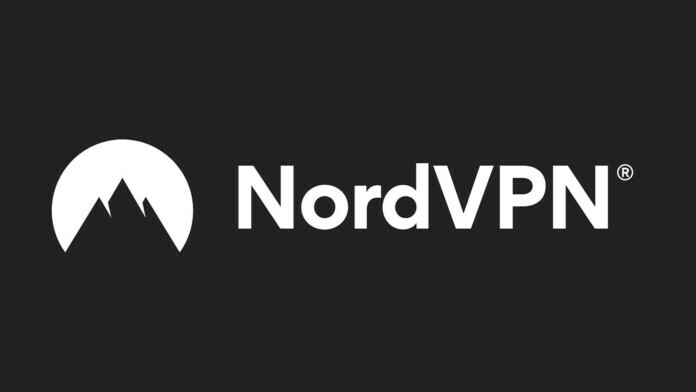 NordVPN offers plenty to its subscribers. It allows them access to thousands of servers, it unblocks websites and even supports P2P traffic. On top of that, it doesn't store a single activity log. Aside from its fluctuating performance, there's really nothing not to like here.